There is sand and camels everywhere. Nothing but the yellow. For the third day, we are wandering on the burning sun, since we lost our way in a sandstorm. Our journey to my wedding has become more the way to our own funeral. Men no longer believe, that we can get out of here alive. Two camels have died from fatigue, lots of gifts we had, were left in the desert, where they will be soon covered by the sand. We seemed to see an oasis in the distance several times, but it was nothing more than a mirage. I see right now on the horizon, a sort of red flag, but I know… What? It seems that the flag increases in size and I could even make out the rider on the camel! This is not a mirage! Incredible! We met a caravan of unknown tribe, whose members shared with us some of their water. We learned that, we wandered back to the north. My father negotiated with their leader the trade to sell his middle daughter to one of his sons. Like this, the deal will be closed between our families forever. 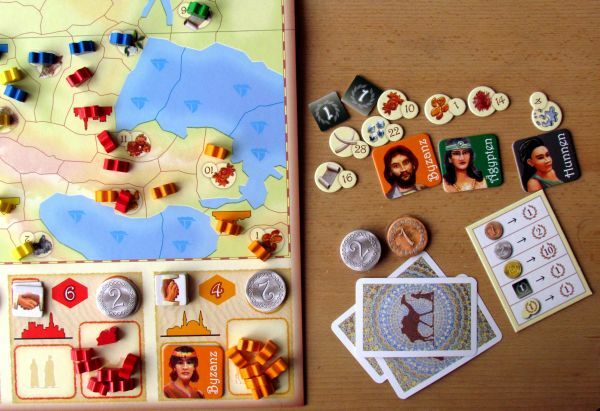 About such deals tells us the new board game called Samarkand, that has the original subtitle Routes to Riches. The game originally released in 2010 under logo of the german publisher Queen Games. Behind the creation of Samarkand, we can find two authors, David V. H. Peters and Harry Wu. But before we set off on the silk route, we must first together remove all components of the box. Again, as in The Hobbit, the Queen Games deviated from its unusually tall boxes and brings us a classic game in a square dimensions. 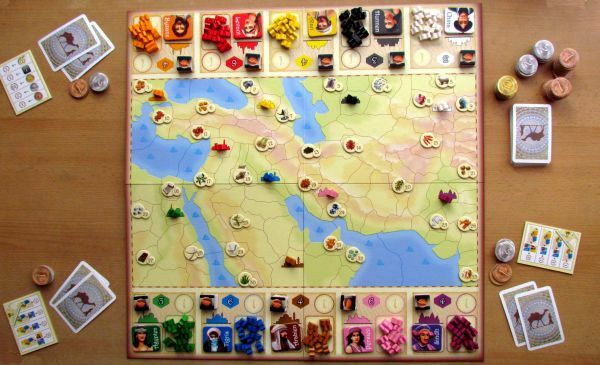 The most space in the box takes, of course, six-part fold-out game plan, which displays a map of the Middle East. 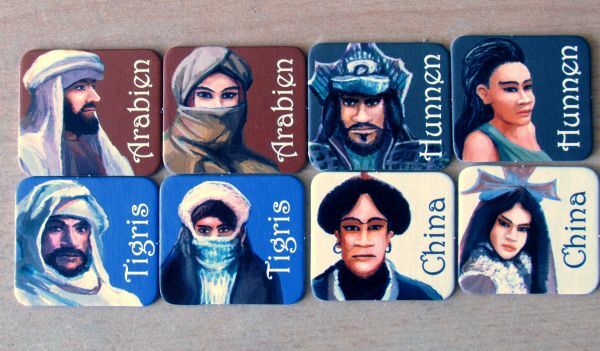 On its top and bottom sides are the images of ten different families, which will affect the game. Every family has picture to place family members for marriage, and also locations for supply of camels figures (which will create roads), money for dowry and also a place for relational chips. All of these pieces are found naturally in the form of cardboard on a few sheets. 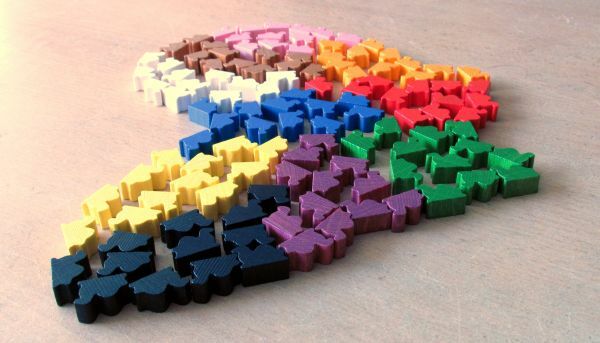 You will discover twenty different faces in ten colors, every two of the same family. In addition, there are really each of different appearance. For better player identification, there are also listed man on one side and female character on the other. This way, the players will better believe the fact, that they have married to some family. But there is more to the cardboard, that you would expect. 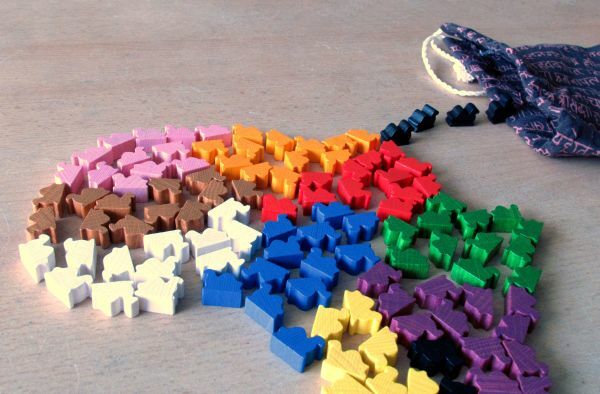 The most ordinary of the punched components are about fifty chips of relationships. They are wearing just a simple drawing of a handshake. Much more attention will surely attract tokens of goods. Their shape is the union of two circles – one minor, in which lies a number and the symbol of a product in the larger one. 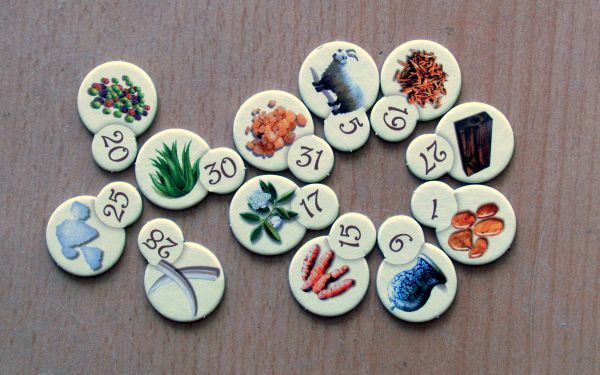 These tokens have also associated a deck of cards of the same suit. We will only mention the rest of cardboards: help cards from the cardboard pieces, that remind you of the various rules for scoring and 75 coins worth one, two and ten dirhams. 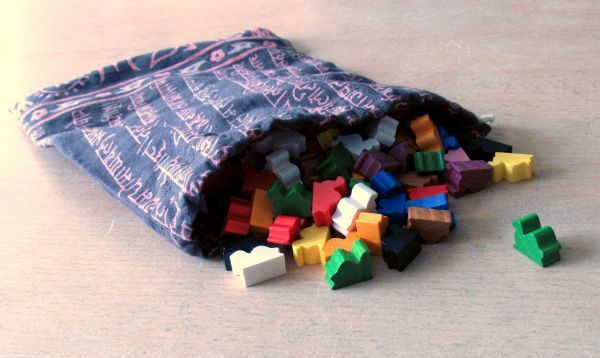 For two player game, you will use an extra fabric bag. But with more rivals, you’ll leave it in the box. Fundamental and at the same time also the most beautiful Samarkand components are wooden camels. 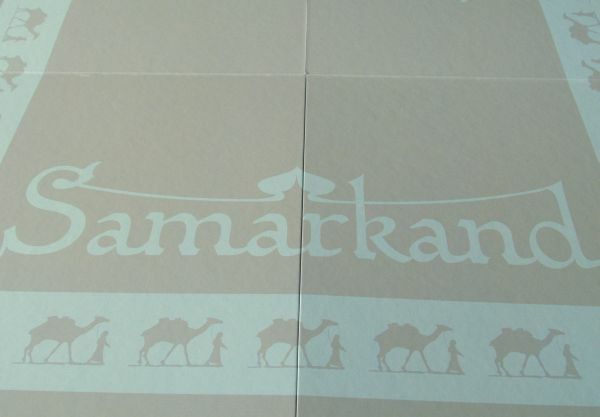 There is a whole load of them in the box – a total of 120 dromedaries in ten colors. Each family will have their pile in theirs colour. By putting them on the road, they will will create a business roads. 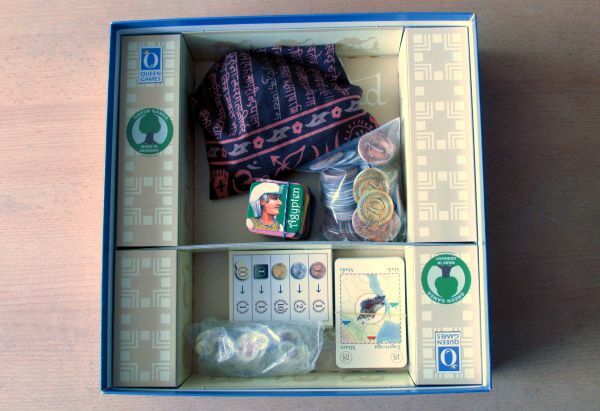 As we mentioned earlier in the description of the board, at the beginning of the game characters and camels are scattered in the boxes of individual families. 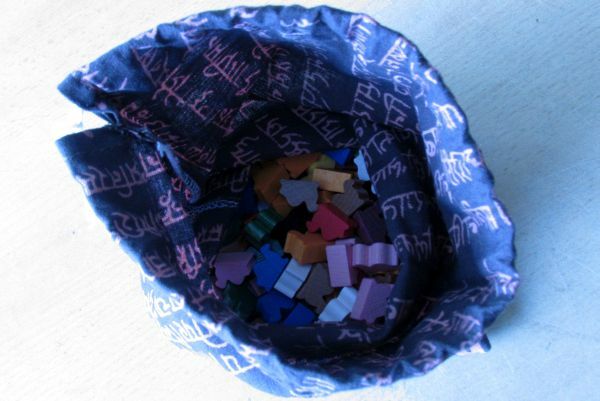 To do this, each family receives five tokens relationships, that have value of one victor point at game’s end. Then it is time for the most time-consuming preparation: you need to deploy all round numerical chips of products on the map. Individual places are marked with corresponding icons, so it is easier to find them. 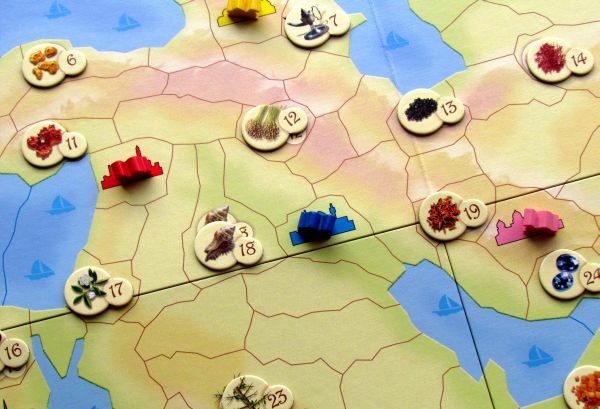 The colored symbols of family native town then claims one of the family’s camel, with whom will they begin their trading attempts. Each of the players gets some equipment for starters as well. But it would be only ten dirhams and two cards dealt from randomly shuffled goods deck. This is the whole equipment, players will start the game with. So we can get ready and launch the first round. 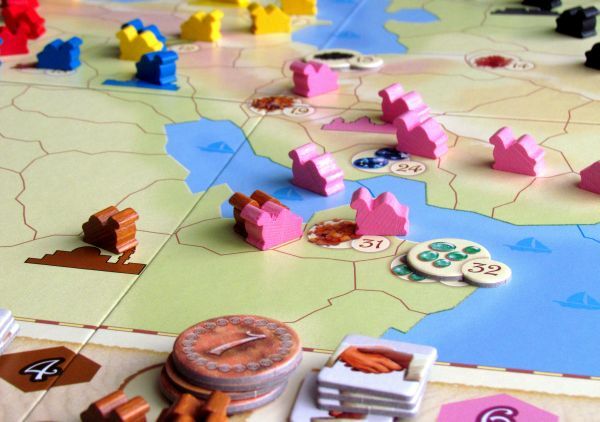 Players try to get the greatest power in terms of victory points for selling goods and connecting with other families. Map has plenty of great meeting possibilities, as it is divided into many little regions. Each of them can host a maximum of two camels. This is the moment, when two families meet and build their relationship. 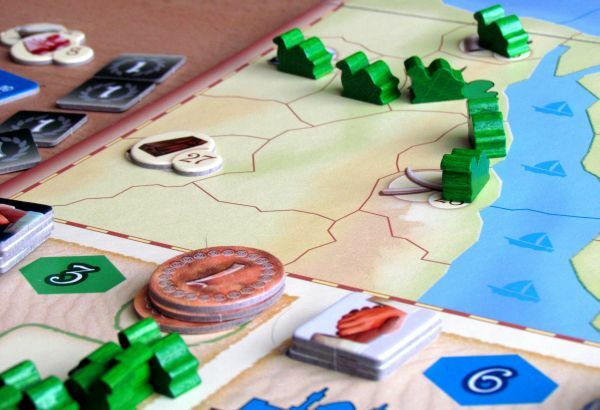 Selection of actions in the player’s turn is relatively simple and involves only two options – either you can reserve the whole move to one wedding and marry into a family or you can set out on business trip and extend one of your families trading routes. As we mentioned at the beginning, players do not start as members of any of the families, but over time gain control over several of them. At the beginning, however, you must choose a family, in which you will invest your initiall ten dirhams. Each family has given some cost to pay, when marrying into it. These dirhams however do not go to the bank, but you pay them directly into the box family, which remain as its capital for the next player’s marriage. As a wedding gift, you get a card of one family member – therefore, there can marry only two player to every family. In addition, you will get for your devotion also some goods, that your family owns – you will draw three cards from the deck and you must keep at least one of them. Think of it as task cards in Ticket to Ride, because that’s esentially how they work. 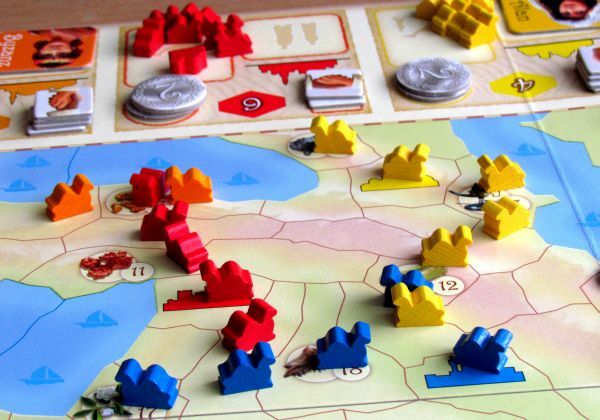 However as you have always limited funds, it is clear, that you will be using the second action (expanding trade routes) more. Here, you can take one or two camels from supply of family, to which you have a relationship – that is, to which you are married. While laying a first camel is free, sending the second camel costs one dirham. 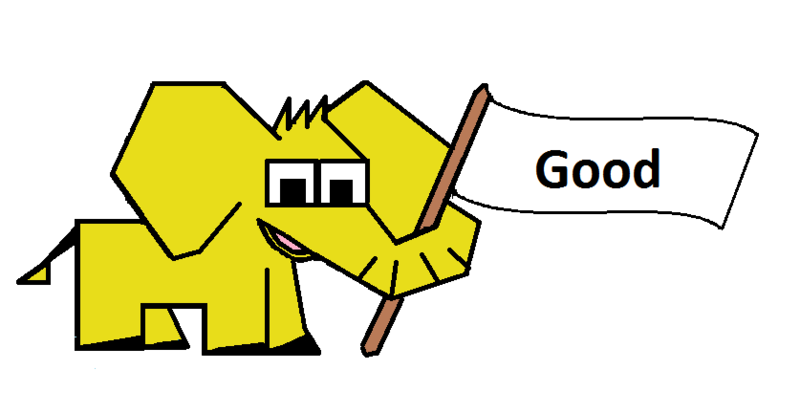 If this camel arrives at a place, where a goods token from the game preparation lies, player can take this chip. At the end of the game, this token is worth one victory point. 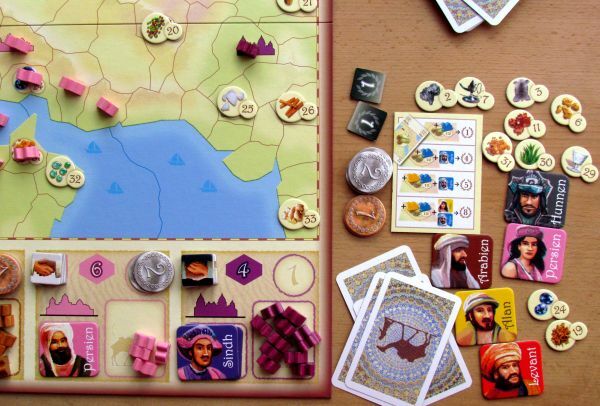 In addition, at this point all players can also sell corresponding goods (the same goods and number) from their hand for exactly three dirhams. You can also get money, when two camels from different families meet for the first time. At this point, however, players are divided into active, who is entering the field and passive, who attends the meeting only as a spectator. The active player gets three dirhams, passive player only one. A much greater advantage of being active, is that this player takes a relations token from both families, that met. Each one has a value of one victory point at the end of the game. And this is all! 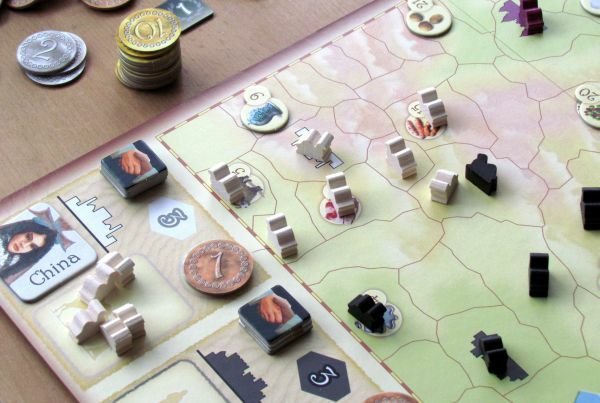 The game ends as soon as one of the families loses its last fifth relation token. That means, that its camels have made relations with other five clans. Second option how the game can end, is that every family has engaged in at least one relationship. 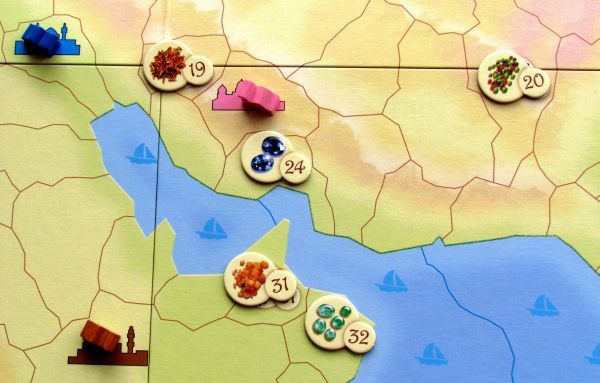 Till then the map is scattered with numerous camels. After the final round, the scoring commences. You’ll get points not only for gathered tokens, but also for dirhams. 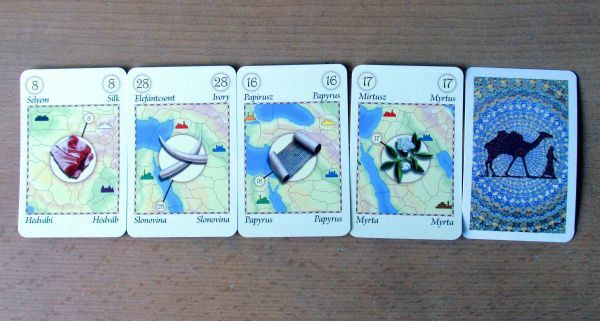 Decisive role play cards, that player hold in their hands. 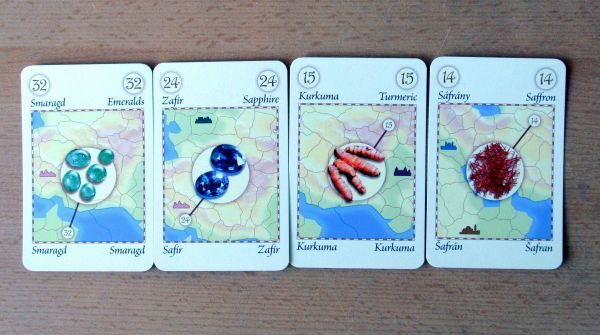 If you card with the same number, that a camel of your family occupies, you will get victory points. This is the main purpose of goods cards. Perfect is situation, when not only yours, but also another family’s camel is on the spot. Then you will get four precious victory points right away. You score all cards from your hand like this. 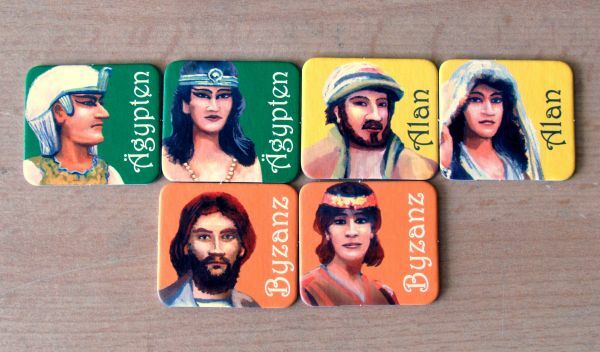 The winner of course is the trader, who managed to establish most valuable relationships, and thus gained the most victory points. You won’t find any support for their calculation, and your memory and pencil will have to suffice. 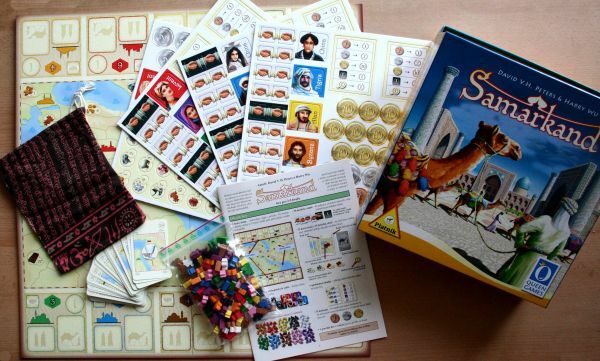 Samarkand is a relatively simple family game, which can be compared for example to Airlines Europe. 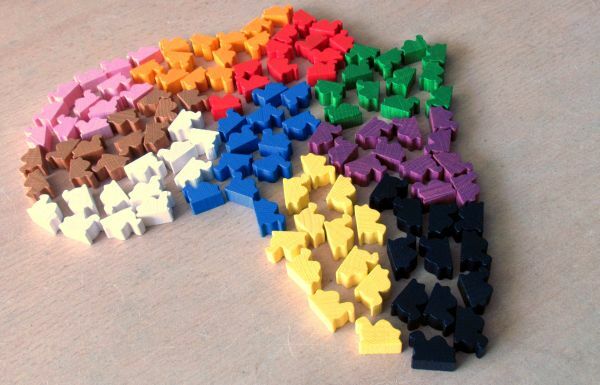 Most interesting fact is, that players actually haven‘t any predetermined color, and only during a game will they alone determine, which families will they be interested in. 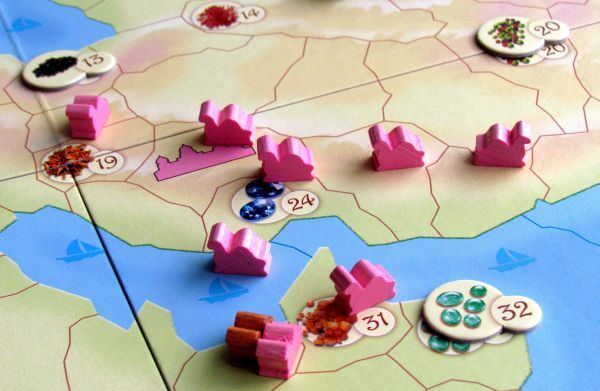 They can develop several trade routes simultaneously and watch a lot of different tactical objectives. 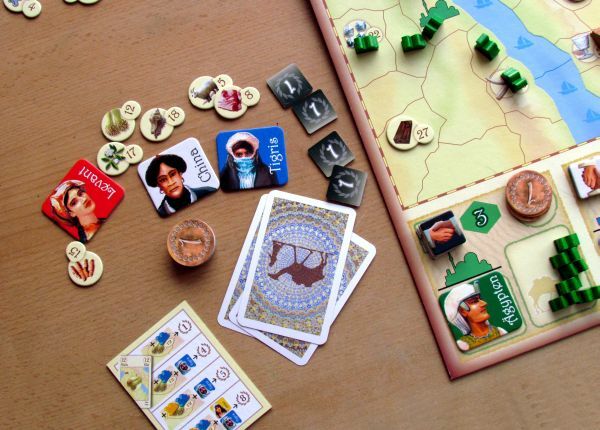 Despite its simplicity in rules, Samarkand make some really interesting choices, when it comes to strategy. Chance is represented only by drawing goods cards, which will you victory points at the end of the game. 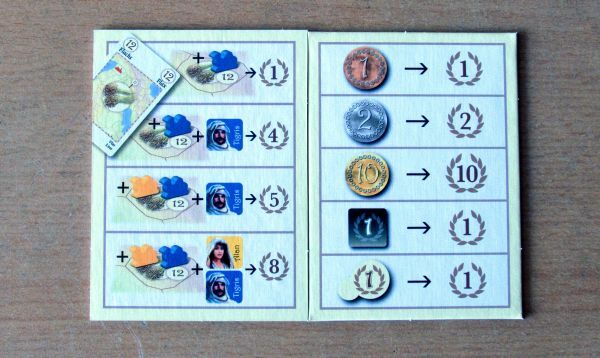 But according to these cards, one can easily adjust his strategy and seek with camels places, where can icons corresponding goods be found. For filling these positions, the income of many victory points is guaranteed. 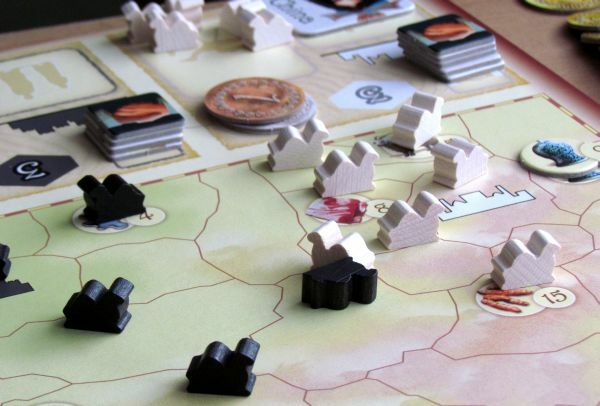 Players have a lot of strategic options. 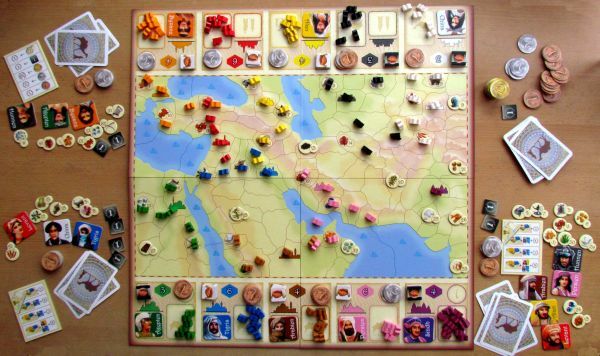 The most important is of course putting camels and deciding, whether to pay with dirhams and lay two of them. The path, of course, must always follow, so you need to plan well ahead, so you won’t lose a reward to some rival. 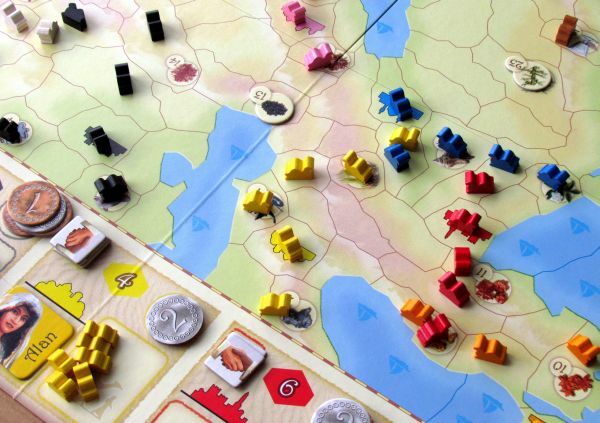 Each family can have only two new members, allowing gamers to build a very interesting tangle of relationships during the whole game. You should always bear in mind, that usually you do not control family camels only by yourself. 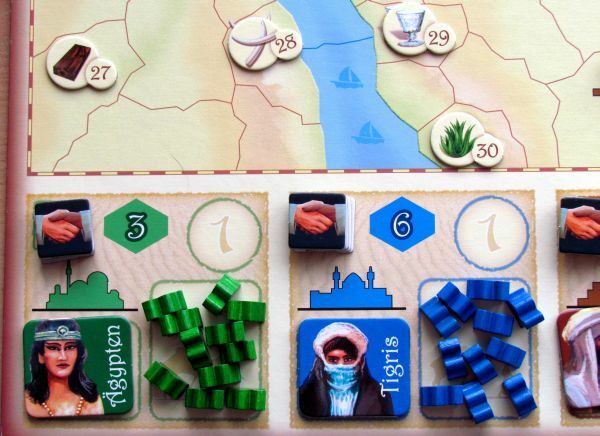 Single point cards are of course valuable, because you do a lot of meeting with families on trade routes. The largest part of the planning, however, you have to do with the cards, you hold in your hand. 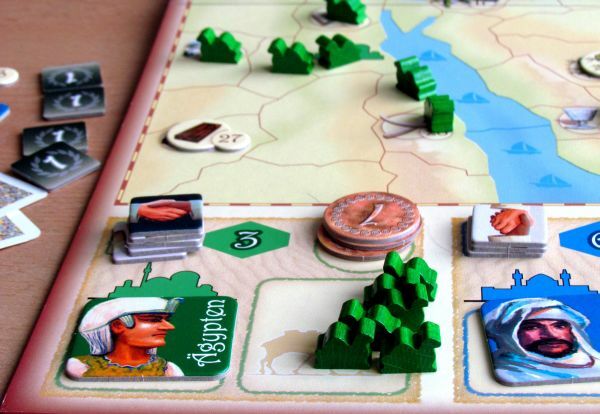 If you possess a map part (have camel on it), from which you hold the goods card, then at the end, you’ll get a nice pile of points. 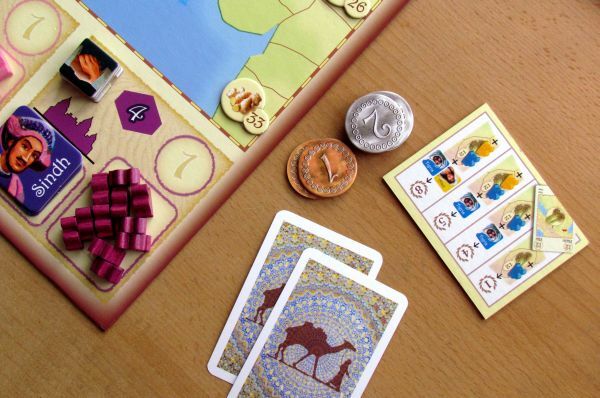 The eye of every player will enjoy the game manufacture value, especially the beautiful figures of camels. Game plan with a duel underway looks very nice. 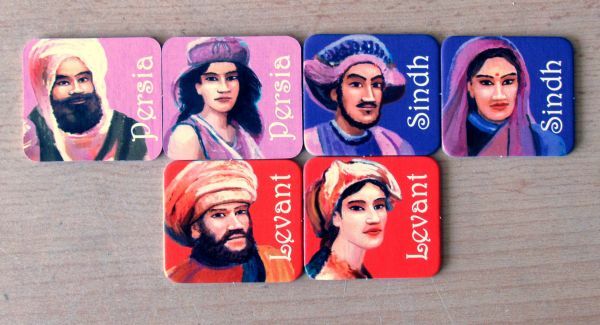 Graphic of card is the same as chips and all the characters in the families are decorated with names and portraits in both sexes. 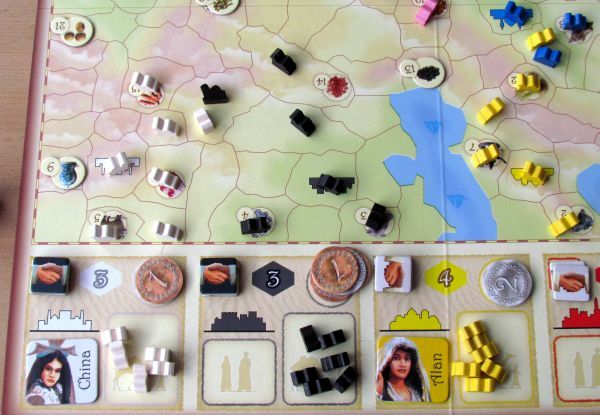 Samarkand is a nice family game, that retains the simplicity without losing the strategic options. 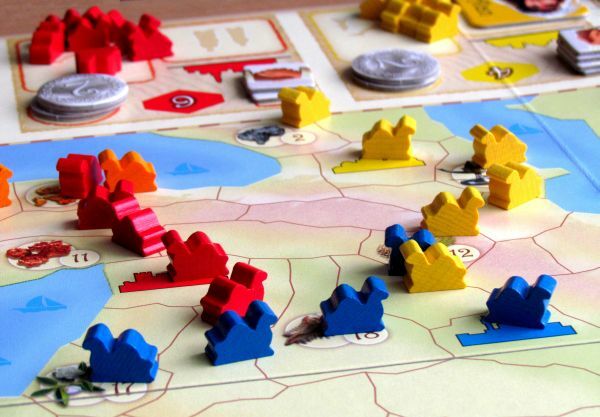 It belongs to family of connectivity games, slightly reminiscent of the Thurn and Taxis, or Ticket to Ride. But it is unique enough to justify its creation. The game will be enjoyed not only by beginners, but also by the previous owners of these similar games. 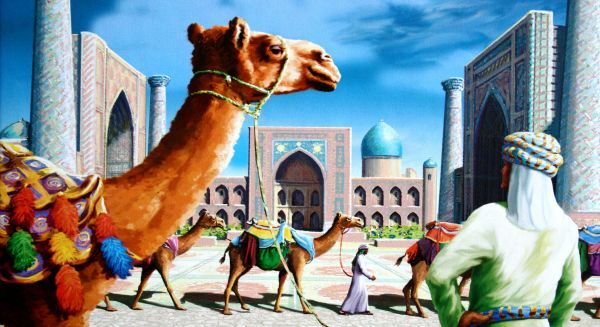 In Samarkand you will enter the world of weddings and the world, where the highest price is for water and well-built camel. But with marriage come also the obligations, so you will have to také care of management of your family’s business roads. It is then up to you, how you can build business relationships with other families and occupy sites with valuable resources. 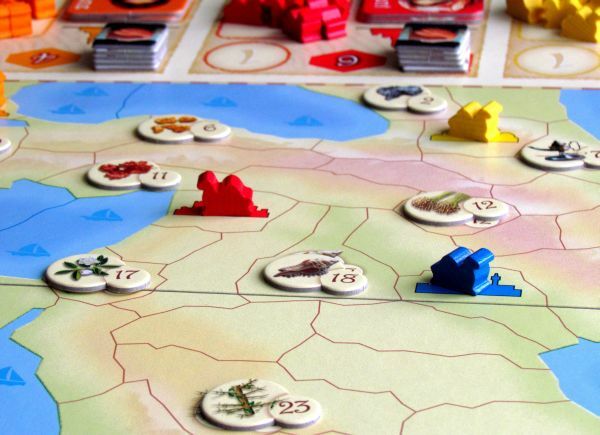 We have here a light family strategy game, with plenty of strategic elements, suitable for all players of board games.